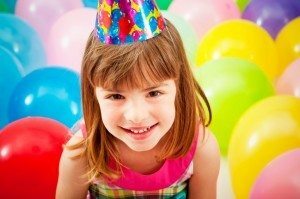 Looking for party ideas for kids’ birthday parties? 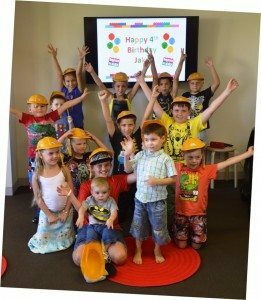 Our party venue is the BEST place for LEGO®kids’ birthday parties in Brisbane! Who doesn’t want more Lego play time? Now you can!!! 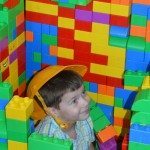 A LEGO® brick building birthday party is the most popular choice in Brisbane for a fun-filled event your child will ALWAYS remember – and ours are the BEST! Our Centre in Springfield is the BEST PLACE in Brisbane’s West with loads of AWESOME non-stop birthday party fun for kids with LEGO® Bricks! 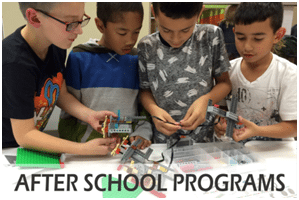 BRICKS 4 KIDZ® is the world’s most popular provider of LEGO® birthday parties for kids – let us bring that experience to your budding builder. Request an AWESOME LEGO® Parties, to talk about plans for Weddings, Christenings, Christmas parties and Family Days – we do those too! Feel free to download our free customisable invitations for your child’s party! • Mini-figure Factory for all guests (each child takes home one Lego mini-figure). Check out more reviews from parents on our Facebook page here. There is a 20 child maximum for parties at our Centre. 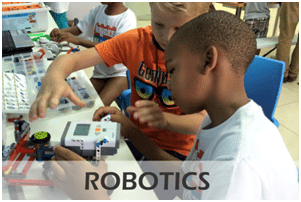 Available time slots for parties at our Centre are 90 mins 10:00-11:30am or 12:00-13:30 and 120mins from 14:00-16:00 on Saturdays and Sundays, and after school during the week (including Friday afternoons). Parents are invited to bring in their own cold party food, drinks and cake for the children to share after the party activities. Alternatively, parents are welcome to order and have pizzas delivered to the Center for the food and cake after the party activities! 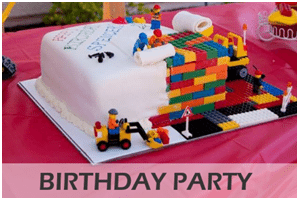 Celebrate your child’s next birthday with a fun and novel BRICKS 4 KIDZ® party experience. Please contact us to book! 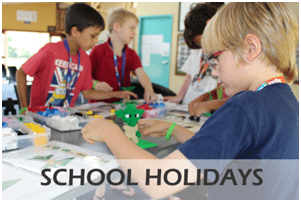 Take a look at our School Holiday Workshops!